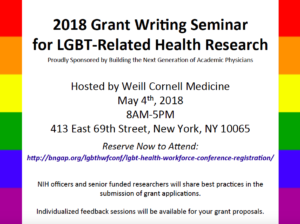 This one day event is designed for researchers interested in writing and submitting grant applications for LGBT-related health research. 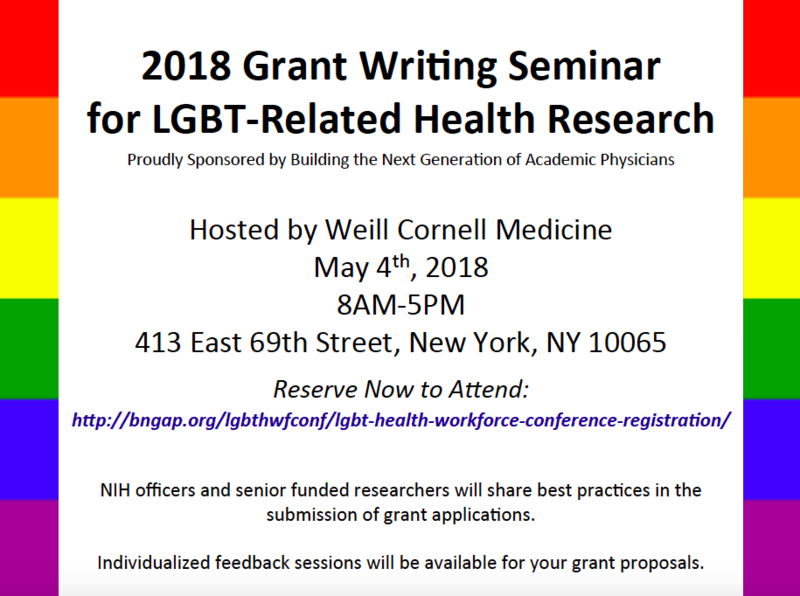 NIH officers and senior researchers will share best practices in the submission of grant applications. Participants will also have an opportunity for scheduled individual feedback on their grant’s specific aims. Participants will also participate in a mock NIH study session led by NIH officers and senior health researchers.